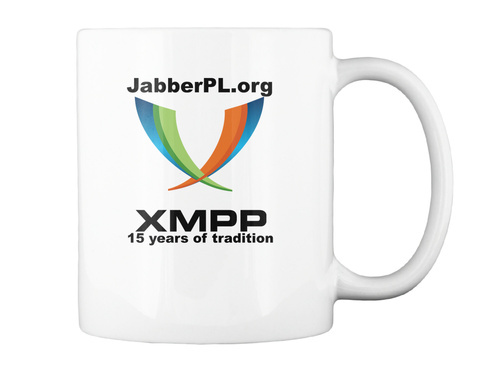 Introduction - why choose JabberPL.org? This is a public and independent XMPP server which respects your privacy. With more than ten years of a tradition we are still free for everyone to use. Besides of few short periods, it runs stable since 27.11.2002. Extensible Messaging and Presence Protocol (XMPP) is a communications protocol for message-oriented middleware ... unlike most instant messaging protocols, XMPP is defined in an open standard and uses an open systems approach of development and application, by which anyone may implement an XMPP service and interoperate with other organizations' implementations. JabberPL.org requires encryption (we support TLS 1.2, TLS 1.1 and SSL 3) "client to server" c2s and "server to server" s2s (we provide Forward Secrecy for both types of the connections). As an effect, some olders clients (for example Xabber) may not be able to connect with this servers. Same apply to old XMPP servers without support for encrypted s2s connections (like Google Talk). To keep your security and privacy on higher level we suggest use OTR and/or GPG with your favourite client. Due to the SPAM problems in-band registration has been disabled. To register an accounnt please use the provided webform. Updated list of the blocked servers can be always found here: https://github.com/bluszcz/jabber-spam-blacklist/blob/master/blacklist_new.yml. but you may consider also Ekiga or Jitsi. Great and open source Android client - support for OTR, OpenPGP and MUC. Conversations can be also downloaded for free from F-Droid. For Linux and Windows users we recommend Pidgin client: http://pidgin.im/. You can download latest release from here: http://pidgin.im/download/windows/. For the OS X platform we recommend Adium: https://www.adium.im/. We need to spend ~700 euros yearly to cover only expenses related with server, not including our time. If you multiply this per 15 (we work since 2002) - it gets pricey. If you are a happy user please consider donation for server or buy one of the souvenirs.